Online promotion of projects became one of the essential elements to develop the customers’ interest towards the products or services offered by the company. Knowing how to promote your blog in a timely and consistent manner can further amplify the reach of your content/offering to your target audience.We're getting a lot of e-mails lately from people who have just started a blog and are looking for tips and suggestions for getting more visitors and traffic to their blog.It’s not an easy task, but if you get things right at the beginning you will start receiving some traffic and it will increase over time. We'll suggest you follow the methods below, and if you do, you will see some results. However, don’t wait for a miracle and be prepared to wait at least 2-3 months for a decent traffic flow. Facebook is the biggest ever Social media community where you can find different people from different fields, an engineer, a carpenter, a doctor or a photographer everyone is on Facebook. Same is with Bloggers and people who are somehow related to this industry. So sharing your blog posts with Facebook Community will be an ideal practice to do in order to gain more momentum for your blog start-up as well as for traffic too. We have never used Facebook for link building but we have heard many people featuring these Web 2.0 sites for link building. So you can try your luck too, just make sure that the Page on which you are making links has PR 2, at-least. But let us come back to our topic again. You can use Facebook Groups to build new audience. Just write something unique and useful and share it on Facebook groups to get more attention. If you have some extra funds in your budget then do advertising on Facebook too. Google+ can also be helpful for building links. Every +1 you will get from the community users will give you one juicy backlink. One another way to promote you as yourself and your blog as a separate entity is to post guest posts on other reputed and popular blogs from where you can engage new readers for your blog. Guest Posting was first use as a very useful tool for link building but then Penguin 2.0 and 3.0 came into the scene and ruined everything therefore Bloggers stopped allowing guest posts on their blogs. But now after a few months of consideration when people have more realization of these algorithm updates, things are getting better and you can easily find a place to post a guest post. Internet forums bring together individuals interested in an area communities: for they are experts or because they have any questions on the subject. At a time when the production of content online is bloated, Internet users are looking for confidence. This is precisely what these spaces offer where you can get expert advice – filtered, validated or refuted by the community. 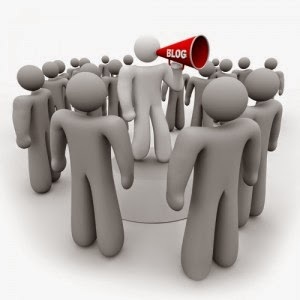 Often, it is believed that a blog should follow the news only and it is a single-use content. However, the article you are reading is a cons-example. You would have read it a few weeks ago, it would have been relevant and it will not be less in some time. The distribution of your content on social networks you use is dynamic: new people following you, some are closer to you and more easily consider sharing your contributions, for example. Considering this, you can rely on all your published content and not just the one you just wrote. There are tools that allow you to program a routine on social networks (such as Hootsuite, Buffer, Facebook PostRocket or even directly). This is a first step: it is important, of course, continue to react in real time to respond to questions and comments. By applying regularly, you are sure to make your blog a reputation and visibility that will then allow you to convert your visitors: sale, contact, quote or interaction.So what advice would you give to your side to an editor who wants to make his blog? Where do you find the resources to be consistent and applied in the distribution of your content?